Novels receive sequels and series add new installments, as in Emma Chichester Clark's picture book Where Are You, Blue Kangaroo?, the follow-up to I Love You, Blue Kangaroo! Lily, the protagonist, keeps losing her stuffed toy, Blue Kangaroo, who in turn becomes increasingly anxious. 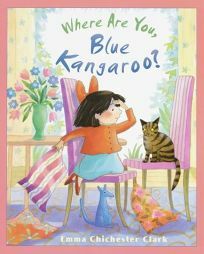 The pictures reveal Blue Kangaroo's whereabouts, even before Lily realizes she's misplaced him; a particularly witty sequence shows Blue Kangaroo being passed among the animals at the zoo--he winds up in a real kangaroo's pocket.